The use of fossil fuel resources, which are non-renewable, contributes to the rise of global warming due to the release of carbon dioxide (among other gases). Besides fossil fuels, there are other finite resources that are non-renewable and need to be conserved for various reasons. The BBC reported in 2014 that at the rates of non-renewable uses in that year, the world would run out oil in 40 years, gas in 50 years and coal in 250 years. There is enough "technically recoverable supplies" of natural gas to last the U.S. for 93 years at the 2014's rate of consumption. However, part of this is not "proven sources" and exploiting them could not be economically and technologically viable according to a 2016the U.S. Environment Information Administration (EIA) report. The Telegraph reports earth will not run out of oil and gas because new technology can improve extraction. However, it concedes that equally important is the current emphasize on use of renewable sources like electricity and hydrogen in cars, or for power generation, which decrease demand and consumption of the limited quantities oil and gas. There are four non-renewable energy sources that are used most often, states EIA (Non Renewable). The first three are fossil fuels. This means that they were formed from the remains of plants and animals eons ago. Fossils fuels can be in a solid, liquid, or gas form. Fossil fuels such as coal, natural gas, and crude oil takes millions of years to form, emphasizes National Geographic. Fossil fuels are mainly made of carbon, as their origin is the remains of dead plants, algae and plankton which settle into seas or lakes. Over hundreds of million of year sediments accumulated and buried them underneath "creating pressure and heat." This gradually changed the organic remains into coal, petroleum and natural gas. So when fossil fuels are burnt carbon that has been collecting for millions of years is released and add to the environment. The BBC reports that oil reservoirs are found between rocks, which can be pumped through pipes easily. Environment and Energy Study Institute (EESI) says crude oil also occurs in shale and tar sands. As reservoirs dry up, industries are turning to heavier crude oil in tar sands and shale that is more difficult, polluting and expensive to extract. As EIA (Non Renewable) explains, crude oil is processed and refined to make petroleum derivatives (such as gas or diesel), propane, butane, and ethane. All can be used as fuel/energy sources. Various other non fuel products like plastics, fertilizers, pesticides and pharmaceuticals use crude oil as a major ingredient according to EESI. Once the oil is taken out of the ground, it is gone forever. The earth can replenish oil only in geological time spans. Similar to crude oil, there are two types of natural gas, explains Union of Concerned Scientists. Conventional natural gas is found in porous rocks that can be easily tapped by wells and pipes. Unconventional natural gas like "shale gas, tight gas, coal bed methane, and methane hydrates, has been more difficult and costly to exploit than conventional deposits, until recently." Both shale gas and coal bed methane gas are extracted through fracking, while tight gas utilizes horizontal drilling and methane hydrates are trapped in water frozen under the oceans in the Artic. Natural gas is used for energy production, and as per an EIA Short-Term Energy Outlook, contributed to 34% of the energy in the U.S in 2016. It's also used for heating and electricity for buildings, according to EESI. A variety of other products need natural gas for production, like fertilizers and plastics. Surface mining produces 66% of the coal in America in 2015 according to EIA's Annual Coal Report (Table 11). Up to 90% of coal near the surface is dug out of the ground with special machines, according to World Coal Institute. Underground mining is used for deeper coal pockets. Room-and-pillar, and longwall mining are two methods employed and yield up 40 to 75% of coal points out World Coal Institute. Underground mining provided 34% of coal in the U.S in 2015 according to the EIA's coal report. In 2016, coal still accounted for 30% of energy in the U.S., according to EIA Short-Term Energy Outlook. In the previous year in 2015, as EIA figures show, coal saw a sharp drop in use of 15% in the U.S. A 2016 Guardian report accounts this decline foremost to availability of cheap natural gas, and secondly to a spike in growth of wind and solar power generation, along with an emphasize to reduce emissions, as coal is the most polluting of all fuels. Uranium is the only one of these energy sources that is not a fossil fuel according to EIA (Non Renewable). Uranium is a common metal that is found in traces almost everywhere notes World Nuclear Association (WNA). It is more abundant than gold or silver. High grade uranium is extracted with "mining techniques such as dust suppression, and in extreme cases remote handling techniques, to limit worker radiation exposure and to ensure the safety of the environment and general public," writes the WNA. Uranium is used in nuclear energy plants as well as in other ways. Nuclear energy accounted for 20% of power generation in U.S in 2016 according to EIA Short Term Outlook. Like the fossil fuels, once uranium is taken from the earth, it can't ever be replaced. Though these fossil fuel energy sources are the most widely publicized non-renewable energy sources, there are others, like minerals, whose supply is fixed. Indiana University explains that many minerals were formed in stars and during the formation of earth and are present in its core and crust. Tulane University notes that about 20 to 30 minerals are of importance; some combine to produce rocks. To extract these minerals, the rocks or ores are mined and then refined or processed. If humanity were to exhaust any of these crucial and useful minerals, it is nearly impossible to replace them. Aluminum: The Royal Society of Chemistry (RSC) reports it is the most common mineral in earth and makes up 8% of it. This metal is produced from bauxite. It is used to manufacture "cans, foils, kitchen utensils, window frames, beer kegs, and aeroplane parts." More than 30% of it is recycled. Copper: Geology.com says copper is used in a variety of construction, power and electronic product creation, and various machine/vehicle production processes. Since it is important for construction and power transmission, a shortage of copper can have a serious impact on economy. Only 30% of it is currently recycled. The University of Michigan reports that around "18,000 times more copper" is used a year than is created by the Earth. 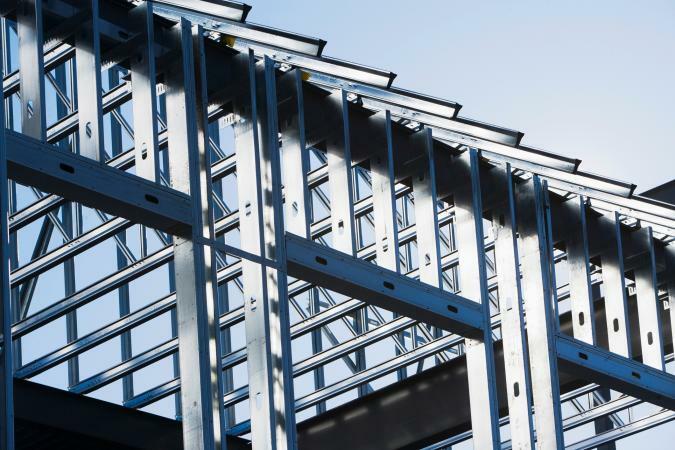 Iron: Ninety percent of metal processed is iron and as steel it is used in "architecture, bearings, cutlery, surgical instruments and jewellery," according to RSC (Iron). RSC notes there is moderate risk in its supply. Silver: RSC (Silver) notes silver is a precious metal used for making jewellery, coins, and tableware. It has industrial use in making mirrors, printed circuits and "dental alloys, solder and brazing alloys, electrical contacts and batteries." Twenty-thousand tons of it are produced each year, and more than 30% is recycled, so there is a high risk of running out of this material. Gold: Seventy-eight percent of it used to make jewellery. The rest is used to make bullion and coins, and in electronics, computers, dentistry, and aerospace applications, among others. It has few substitutes and a limited supply according to Geology.com. There are many environmental and health impacts associated with the use of non-renewable energy. Burning fossil fuels has contributed to three-fourth of the emissions in the last 20 years leading to global warming, reports Energy.Gov. According to EESI petroleum, coal and natural gas are responsible for 42%, 32% and 27% of greenhouse gas emissions in the U.S. in 2014. However, between 2014 to 2016 the global emissions have remained nearly stable even though economy has increased by 3% according to The Guardian. This has happened "since Americans used more oil and gas in 2015, (but) the United States decreased emissions by 2.6 percent as the use of coal declined," Scientific American notes. Natural gas produces less emissions compared to coal or oil finds the Union of Concerned Scientists. When fossil fuels burn, they release carbon monoxide, nitrogen oxides, hydrocarbons, particulate matter and sulfur oxides into the earth's atmosphere, according to Union of Concerned Scientists (Hidden Costs). 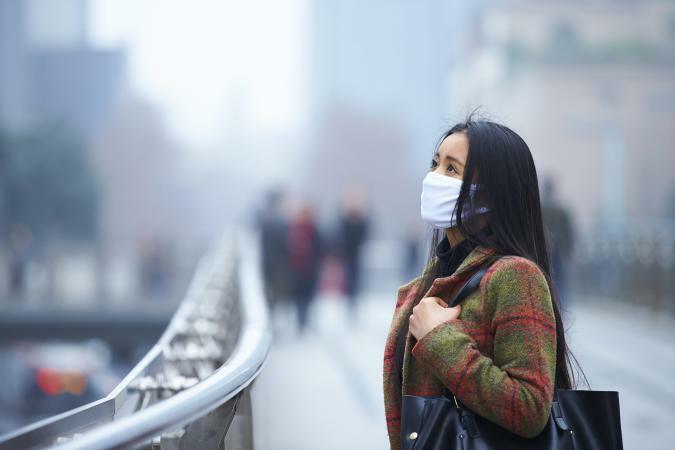 Air pollution is a serious health concern leading to heart attacks, worsens existing respiratory and heart conditions, asthma and pulmonary inflammation, and can lead to death. Infants, children, and elderly are particularly at risk. Use of fossil fuels leads to air pollution, acid rain, nutrient pollution affecting air, water and land confirms U.S. Environmental Protection Agency (EPA). 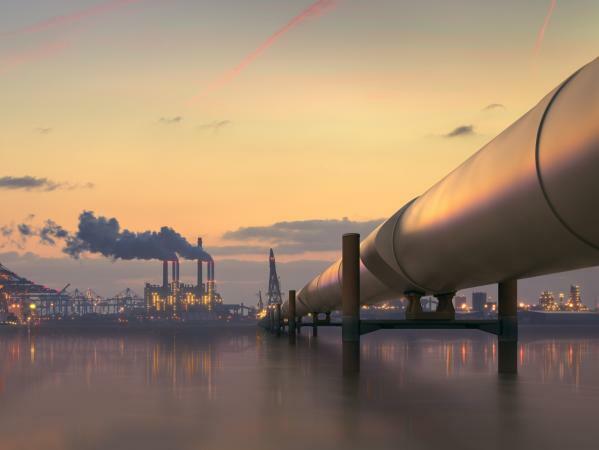 In addition extracting and transporting oil has, in the past, lead to oil spills and slicks, polluting the waters and damaging the natural environments around the slicks and spills. In addition, mining, the extraction method from coal, not only leaves the area barren, but the minerals around the coal itself are acidic. These minerals are left behind after mining, leaving the area completely polluted and preventing the ability for new vegetation to grow. 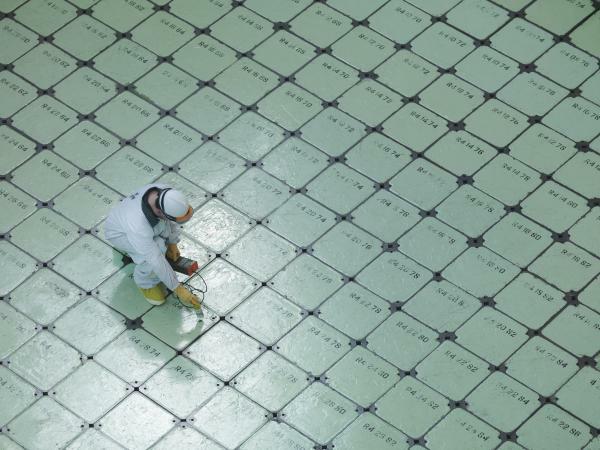 Nuclear energy is expensive, and its waste disposal is a problem and has resulted in catastrophes in the past making its use unsustainable, writes Greenpeace. Until viable, sustainable and renewable energy sources become widespread, the use of non-renewable energy sources remains a necessity. However, the trend of curbing its use is positive, and global use of fossil fuels energy fell from 94.5% in 1970 to 81% in 2014 according to The World Bank. Countries like Germany are giving up nuclear power and switching over to renewables points out The New York Times. In the U.S., fossil fuels together still accounted for 81.5% of energy generation in 2015, according to EIA. In 2015, people employed in solar industry for the first time overtook those employed in oil and natural gas exploitation according to Bloomberg. It is possible to have 36% energy from renewables by 2030 and meet Paris 2015 commitments globally, according to The Guardian. In recent years, consumer attitudes towards the use of non-renewable energy sources have been undergoing a significant shift. More people realize the damaging effects non-renewable fossil fuels have on the environment and are beginning to take active measures to reduce their carbon footprint. Many of these activities are easy and don't require a major lifestyle change, like turning off the lights (and use energy saving bulbs) when leaving a room, using solar energy at home, and installing high efficiency appliances in their homes. Green living ideas like buying hybrid gas/electric cars, driving less, reducing use of plastics, and last but not least, recycling are simple ways to reduce use and depletion of non-renewables.